Roger Federer, seeded seventh, his lowest place in over a decade, advanced to the second round of the 2013 US Open Tuesday in New York City. The match was originally scheduled for Monday night, however rain and the night’s forecast forced the night session to be cancelled, postponing it to Tuesday’s day session. The Swiss maestro dropped serve only once in the third set, only to break back and comfortably serve out the match, 6-3 6-2 7-5, in 1 hour 33 minutes. 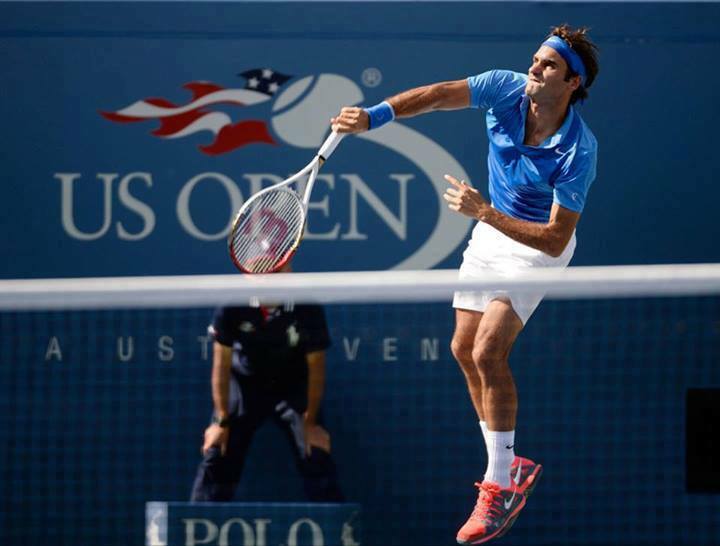 The 5-time US Open champion served at 60%, firing 12 aces to 2 double faults, and hit 35 winners to 16 errors. He will face Carlos Berlocq in the second round on Thursday. Watch full coverage of the 2013 US Open on FF07tv, starting Monday, August 26. View the full draw here. See Roger Federer’s Nike outfit for day and night sessions here.